buffalosabresnow: Wounded Ducks. Can the Sabres take it to 'em tonight? Wounded Ducks. 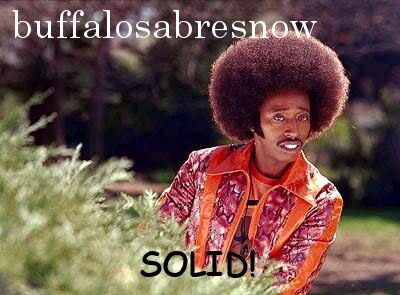 Can the Sabres take it to 'em tonight? Starting goalie John Gibson has been out since leaving the game against the Bruins in the third period and in his stead 37 yr. old backup Ryan Miller, a name Sabres fans are most familiar with, has been manning the pipes. Unfortunately for Miller, things haven't gone swimmingly since taking over. Outside the overtime loss where he stopped 30 of 32 shots, Miller allowed four goals on seven shots vs. the Canadiens before getting yanked and was on the ice for six of the seven goals-against vs. the Leafs last night (one empty-netter.) Miller's stat-line on the year: 6-4-5, 2.67 GAA, .915 Sv% and it looks as if he'll get the start tonight against his old team. On another note, in today's Ducks/Sabres preview, the Associated Press called Anaheim's three-game swing through Canada "an abject disaster" while also noting that Corey Perry "was elevated from the fourth line back to the top unit for Monday's loss" against Toronto "and he responded with a season-best four assists." The Ducks head to Buffalo to face a Sabres team that is not very good at home as they've dropped three straight and have the second-worst home record (Arizona) in the league at 6-15-3. Buffalo has only 14 overall wins this season and their 37 points are only slightly better than the tank teams of 2013-15 at this stage of the season. 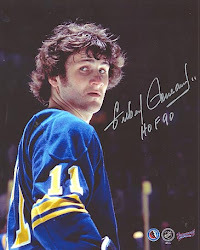 To say the Sabres have been struggling would be an understatement and the reasons why vary with each passing game. The latest issue for Buffalo involves accountability, something that's been plaguing them for the better part of a decade. "A lack of player leadership and accountability were among the criticisms which led to the Buffalo Sabres cleaning house in April," wrote the Associated Press' John Wawrow yesterday. "Very little has changed 10 months into the Sabres’ new regime of general manager Jason Botterill and coach Phil Housley in overseeing a team that ranks last in the Eastern Conference and 30th overall." Last April, of course, is when owners Terry and Kim Pegula sat with then GM Tim Murray looking for answers as to why the team had so many disconnects leading to a disappointing season. Apparently Murray had no answers and both he and head coach Dan Bylsma were shown the door. Things have gotten decidedly worse for the Sabres this season under a rookie GM and rookie coach and although there has been some turnover in the roster, many of the same 'key' players are still on the team in the same roles. Talent and speed, or the lack there of with either, is an obvious problem at this point, but the lack of accountability amongst the players seems to be coming to the fore. With the trade deadline nearing, changes are in the offing for this team. Both Lehner and Gorges could very well be joining forward Evander Kane as trade pieces for futures. All of them are free agents with Lehner being restricted. The trade deadline is February 26, less than three weeks away, and the Sabres have 11 games to play before then. Tonight they should be facing a very ornery Ducks squad who come into KeyBank wounded while riding a 37 yr. old goalie playing in back-to-back games. Will they be able to take advantage of it? Lehner looks to get the start in net for Buffalo.